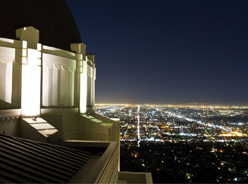 Los Angeles — ON TV, INC.
ON TV, INC. loves LA and all the people who come with it. It’s our home and where we launched our brand. We pride ourselves on understanding the culture, communities and the diversity that makes Los Angeles truly a City of Angels. Our understanding of the Los Angeles market extends across all the projects we do from our head quarters in Downtown. We’ve established ourselves as the #1 digital casting agency in the U.S.A. and we’re experts at finding dynamic people from every walk of life from the metropolitan millennial to the the next NFL Superfan. We know the city’s people and how they work, where they hang out which allows us to always deliver the best results when a project is casting in Los Angeles. If you’re producing content and need talent in Los Angeles, ON TV, INC. is your solution. Executive Producer Johnnie Raines is the President of ON TV, INC. and the Supervising Casting Director. He is an L.A. native with connections to real people across the city from the ocean to the river, and a network of industry connections to agents, managers, publicists and the talent they represent.